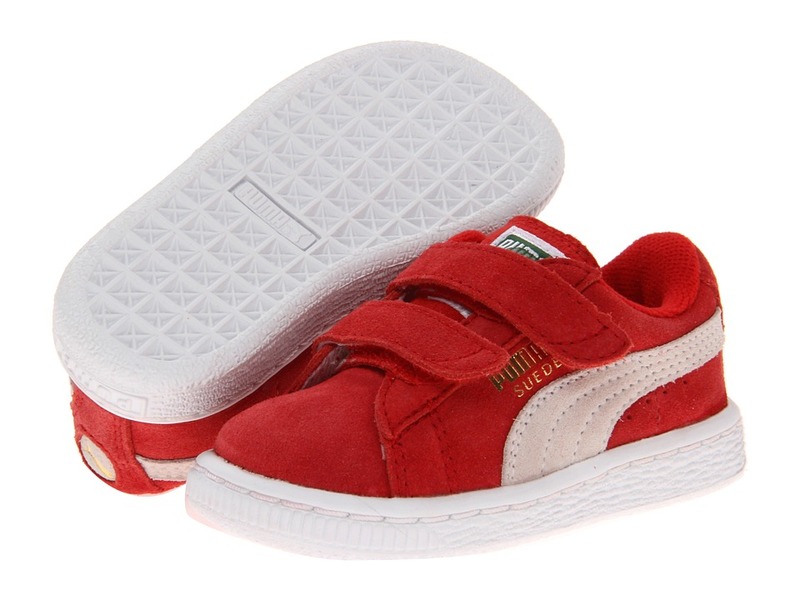 Take your little dude back to the old school with the classic style of the Puma Kids Suede 2 Straps Boys shoes! Suede upper with perforated detailing at midfoot. Dual-strap hook-and-loop closure for easy on and off. Removable Kinder-Fit sockliner and cushioned midsole for optimum comfort. Non-marking rubber outsole for added grip. PUMA Formstrip at medial and lateral sides. Imported. Measurements: Weight: 8 oz Product measurements were taken using size 2 Little Kid, width M. Please note that measurements may vary by size. Weight of footwear is based on a single item, not a pair.